When I first entered the world of online marketing over a decade there was a focus on meta keyword and description tags as ranking algorithms. Today, search engines like Google are looking for quality content and earning links as important SEO factors. Because of that, things have become a lot more complicated. Stuffing keywords in a poorly written article aren't going to cut it. You need to provide something of value and then have that content shared in order to become relevant. This means you have to conduct research, network, and create content. That’s a lot of responsibilities for a small marketing firm. 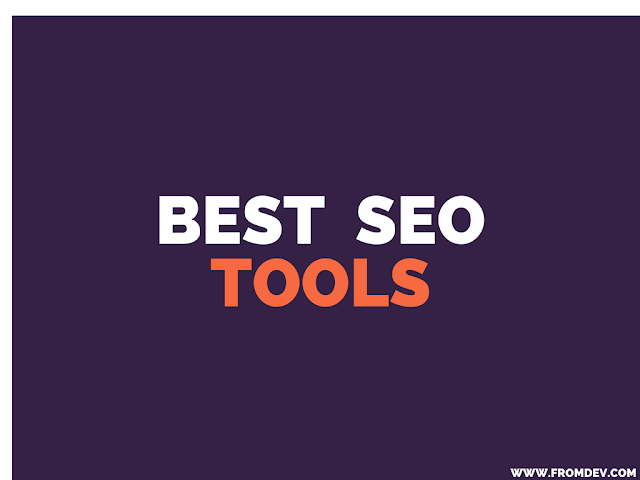 Fortunately, there a number of tools that can help you streamline your SEO business so that you can complete your tasks on time, avoid getting overwhelmed, and keep your customers happy. I’m going to share with you one of the most important lessons I’ve learned during my ten plus years of SEO; you can’t do everything on your own. And, the sooner you come to terms with that, the sooner you can start becoming a more efficient and productive business owner. While there are hundreds of websites that can connect you with talented freelancers, Upwork is one of the most well-known and reliable options. With Upwork you can search for a wide range of freelancers like web developers or customer service agents, as well as sales and marketing professionals. These individual are familiar in areas like Adwords, email marketing, and lead generation. Even though I may have some knowledge and experience in these areas, it’s more convenient for me to hire outside help to me launch and manage a campaign. Just post the job description, select the right candidate after reviewing their portfolio and reviews, and then start collaborating on your next project. Once the project is complete, you review the work before paying the freelancer. Regardless if you’re outsourcing talent or have an in-house team, communication can get complicated. In the past, I would use a series of tools to communicate with the team, such as email, direct messaging, and the occasional phone call. Then I was introduced to this wonderful tool called Slack. Slack is a team communication tool that keeps all your team's conversations in one place. You can have group messages, private messages, and share documents from one dashboard - instead of using multiple channels. Slack also integrates with Google Drive, Twitter, Dropbox, Wunderlist, and Mention - to name a few - so that you don’t have to constantly switch back and forth between tools. Bookkeeping isn’t the most exciting of tasks. But, it’s an essential responsibility for every business if they want to keep the cash flowing in. Thankfully, there are plenty of online tools available that make tasks like invoicing as painless as possible. One such tool is Invoice Ninja. With Invoice Ninja you can send invoices to your clients electronically and get paid online through more than 45 different payment gateways in just a matter of minutes. Other features include the ability to set-up recurring billing, accept deposits, auto-reminder emails to clients when bills are late, and a time tracking tool to accurately log your hours. Invoice Ninja has saved me a countless amount of hours, along with keeping my desk nice and clean without all that excess paperwork! I’ve been a fan of Evernote for years. In fact, I don’t know how I was able to keep myself organized prior to using this app. If you haven’t heard of Evernote, here’s a brief rundown. It’s a tool that allows you to take notes, create to-do lists, and capture interesting bits of information like reports or articles. You can then share these notes, thoughts, and articles with your colleagues. My favorite Evernote features are being able to turn my to-do-lists so into tasks so that I’m able to meet deadlines and reach my goals. IFTTT, that’s short for “If This, Then That,” helps you connect your apps so that they can work together, which in turn, can streamline your efforts since it prevents you from managing multiple apps at once. This is accomplished by creating recipes. For example, every time you publish a new blog post on WordPress, you can automatically share it on Facebook or Twitter. If you store a client's birthday in your Google Calendar, you can automatically send them an email or Facebook message. The possibilities are endless. Interacting and engaging with influencers and customers on social is one of the most important responsibilities that anyone involved with SEO has to accomplish. With tools like Buffer though you can streamline this process by scheduling content in advance, allowing multiple team members to contribute or manage your social accounts, and view analytics like engagement and conversations. What makes Buffer a standout tool is that you schedule posts at the best possible times throughout the day. This ensures that your content is never overlooked. What are your favorite tools to streamline your SEO business?